Our client was a fashion resale website for consumers to buy and sell secondhand clothing online. They were founded in 2009 and are part of a larger Collaborative Consumption movement, which encourages consumers to live in a more collective, sharing economy. Our client had tested the water with influencer marketing and found it to be a vital channel to bring awareness and capture new customers. In an environment where people are looking for great deals while remaining conscious about their budgets, the company is eager to make itself known to as many women in its target niche as possible, and needs to accelerate efforts with heavy competition in the market. Influencer Connect has over 5,000 vetted influencers in its Influencer Platform, with rich data that helps brands make informed buying decisions. The ask was for a female over 25 who talks about “fashion on a budget” and reaches an audience with HHI of $60K+. Our relationship manager pulled a list of a dozen awesome channels and ultimately settled on the perfect channel: Coolirpa. Coolirpa a.k.a. 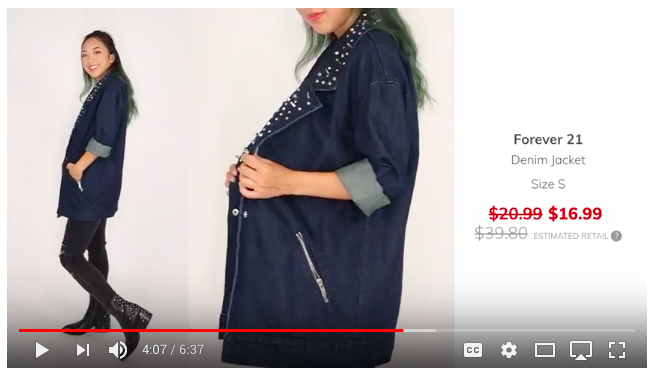 April Yang worked perfectly because not only is her audience mostly female and budget conscious, her channel specifically talks about buying second hand clothing that looks great. More specifically, her channel highlight how to go to a second hand store, buy something very cheap that might have a few flaws to it and how to improve it to look amazing. Our client was a natural fit for this because the clothes they sell are not only affordable, they’re essentially like new and require no alterations. Our client was ecstatic with the results! How do we know? Within 14 days of the video going live, the client came back for a 2nd. It did that well. The channel went above and beyond the ask and created a dedicated video, 8 minutes long. 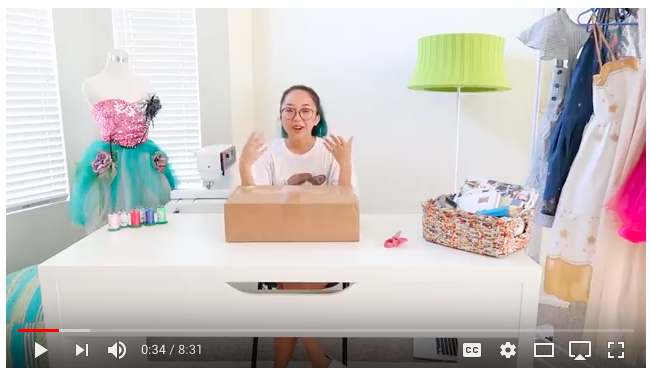 She included numerous products received from her thredUP order, highlighted the retail cost vs discounted rate, and informed her audience of the great deals they could find for themselves. The first video received: ~90K views in 30 days, over 3,000 likes and ~ 200 comments. The efficacy was measured based on conversions and the quick renewal was a sure tell sign of how well that did. The second video received: ~115K views in 30 days, over 3,000 likes and ~150 comments. Again, it yielded a measurable amount of sales as a 3rd video is in the works.